And the Freight Transport Association argued that businesses need more support to cope with the financial burden. Trucks not meeting the current Euro VI standards are now being fined £100 per day to deliver goods in central London. Burnett pointed out that the average working life of an HGV is 12 years so for many operators replacing their Euro V trucks with the cleaner engine Euro VI models (effective since September 2014) is out of the question. 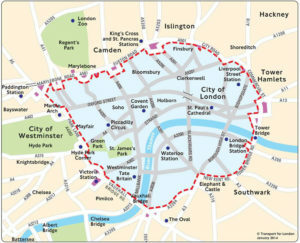 The FTA’s head of urban policy Natalie Chapman said: “FTA recognises and supports the legal obligation to improve air quality and supports the principle of a low emission zone, but we question the effectiveness of the scheme in reducing emissions and the lack of financial support the Mayor of London is providing to local and small businesses. In December 2018, Sadiq Khan announced a measure to help micro-businesses in London – those with fewer than 10 staff – prepare for the financial cost of updating their vans to those compliant with ULEZ standards.